Are your toenails continuously painted? Getting your nails polished can deprive the nails of oxygen, bathe the nail in harmful chemicals like acetone and formaldehyde, or actually stain the nail slightly over time. Usually you will know it’s time to take a break from the polish when your nails become more brittle and break easily or appear otherwise unhealthy. In addition to giving yourself a week in between polish changes, you can use baking soda or denture cleaners to whiten your nails again. The next time you paint your nails, apply a clear base coat first. If you are taking acne medication (like tetracycline), antibiotics (like minocycline), chemotherapy drugs (containing colloidal silver), your nails may darken or turn yellow. Smoking notoriously stains fingernails with nicotine and tar, but may also contribute to yellowed toenails due to the lack of oxygen being delivered to your tissues. This is just one more reason to quit. 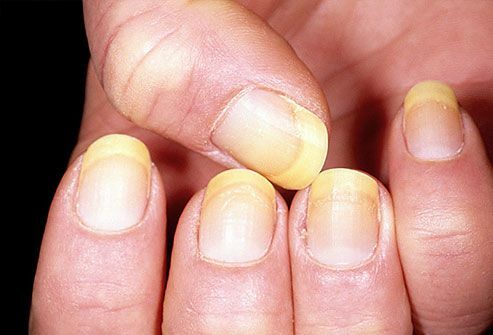 According to MedicineNet, 50 percent of yellow nails are caused by nail fungus — making it the most common cause. Foot fungus can be picked up from a number of sources — showers, pools, waterparks, pedicure salons, spas, locker rooms, wet grass, or yoga mats. The best way to protect yourself is to wear flip-flops or shower shoes at the very least and try to avoid stepping barefoot in public places. We recommend sanitizing your shoes with the SteriShoe UV germicidal lamp to kill up to 99.9% of the harmful fungus harbored in your shoes. As long as you have a fully functioning liver and immune system, the first line of treatment is typically a prescription oral anti-fungal medication, which you’ll need to take for at least a month. Laser toenail treatment is also available for a price. Unfortunately, you must wait for the old fungus nail to grow out before you notice meaningful results. 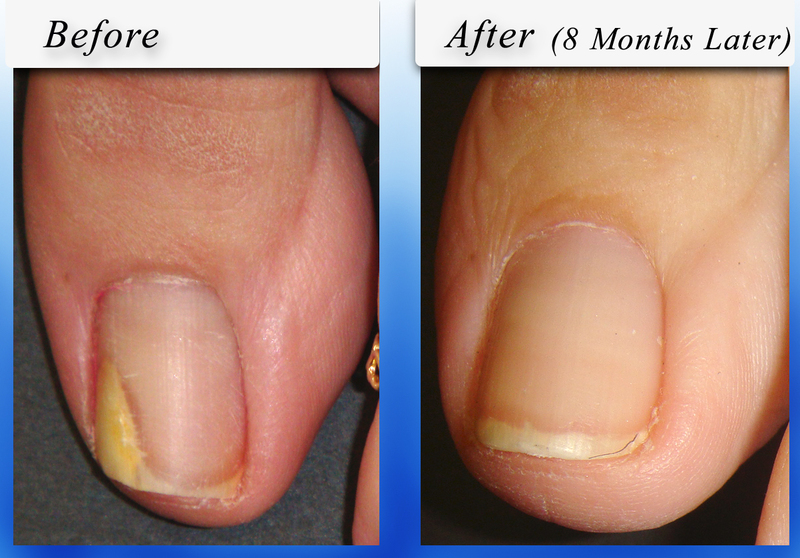 Uses For Germicidal UV Light: Eliminate Nail Fungus & More! Will Toenail Fungus Make My Insurance Rate Go Up?